The Paper Cutters: Little Red Wagon Challenge #355 - Surfs Up! Little Red Wagon Challenge #355 - Surfs Up! Hello again! This week Brenda has chosen Surfs Up as her theme. You can also go with a tropical theme too if you would like. 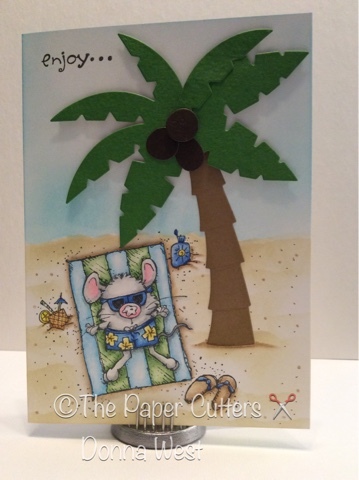 For my card I have chosen a Whipper Snapper Designs stamp called Sunnin' Mouse. This guy is definitely waiting to catch a big wave, but..........after he catches some sunshine! 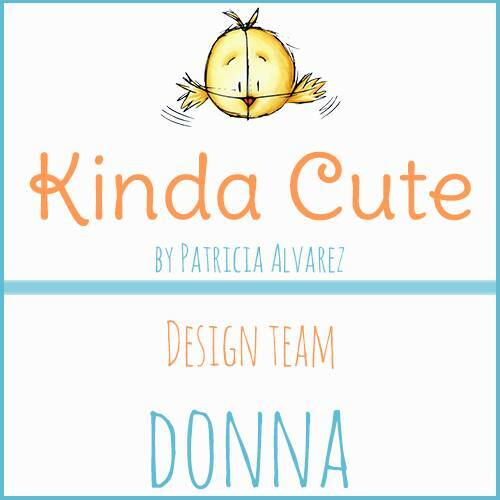 I hope you hop over to the blog and join us this week. Here is a link to get you to the Little Red Wagon blog. Brenda will post her top picks next Tuesday on the blog. Also check out what all the girlfriends have done as well. So much fun! I love that big palm tree! I absolutely LOVE that darling little sunning mouse!! What a fun image - and I love the scene you've created around him too! Such a perfect little scene! Love this little WS mouse. Too, too cute and very tropical under a palm tree. Thank you so much girlfriends!! Love, love, love your card! So darn cute!